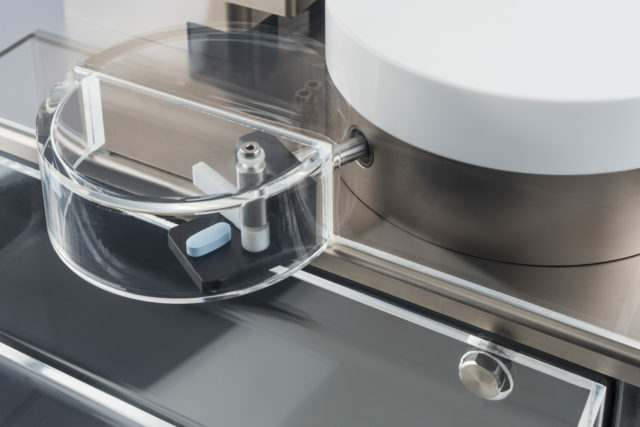 The UTS NIR automatic tablet testing system combines the measurement of the physical parameters weight, thickness, diameter, length and hardness with near-infrared spectroscopy (FT-NIR analysis) to determine a tablet’s active ingredient content. 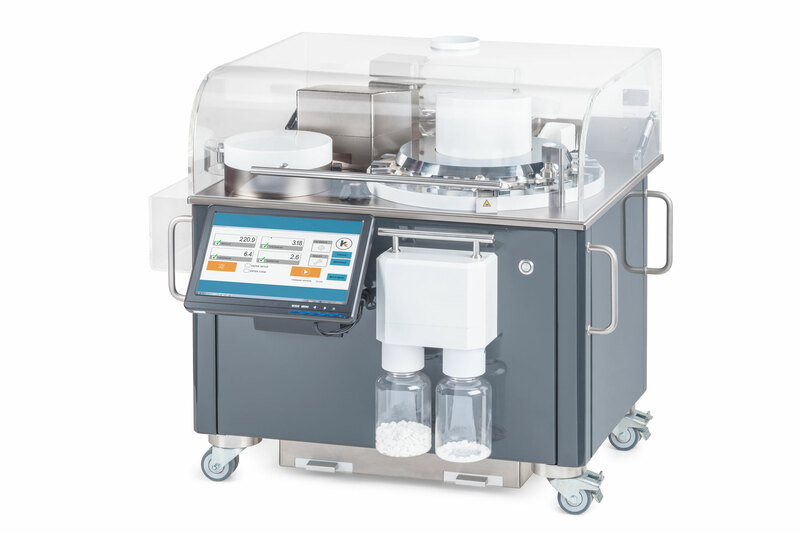 The UTS NIR is therefore a fully automated online PAT tool, which can be used in production or as an offline tester in the laboratory. 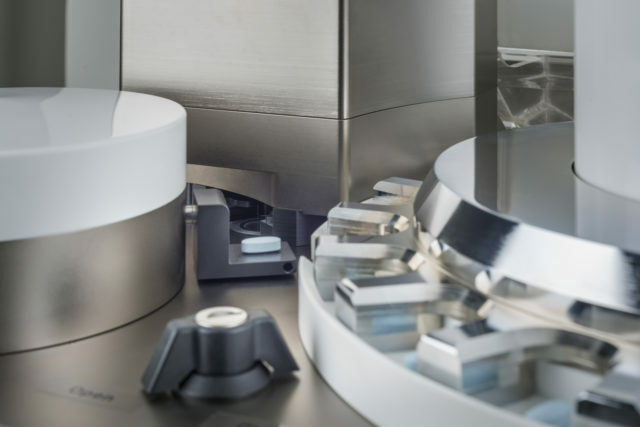 In conjunction with a tablet press, the system allows you to monitor the production process continuously and transmit all test results directly to the tablet press. This way, you can take action straight away if there’s a problem, keeping your production process safe. 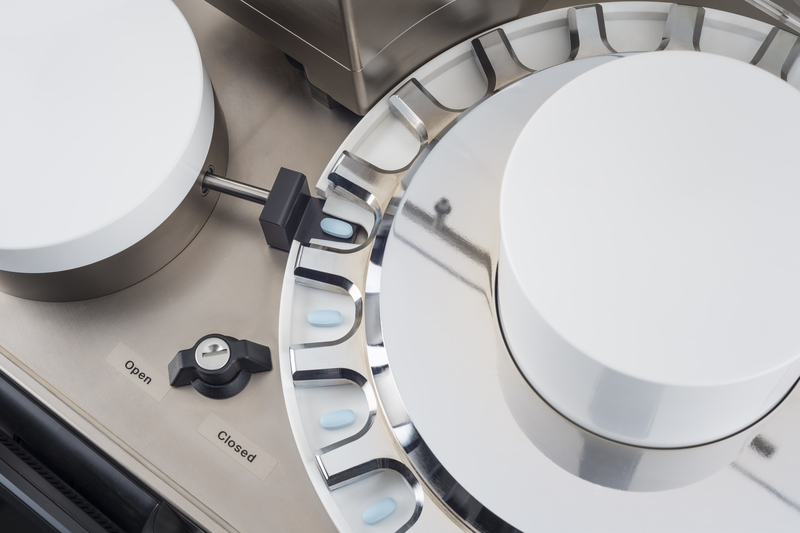 In addition, the NIRFlex N-500 FT-NIR transmission spectrometer from Büchi Labortechnik AG enables applications to be reliably transferred from the lab tester to the UTS NIR. The system conforms to the European and US Pharmacopoeia and is 21 CFR Part 11 compliant. The precise, patented two-jaw centering mechanism positions the test specimen with an accuracy of ± 0.1mm, guaranteeing very precise measurement results that are standard in the laboratory sector. 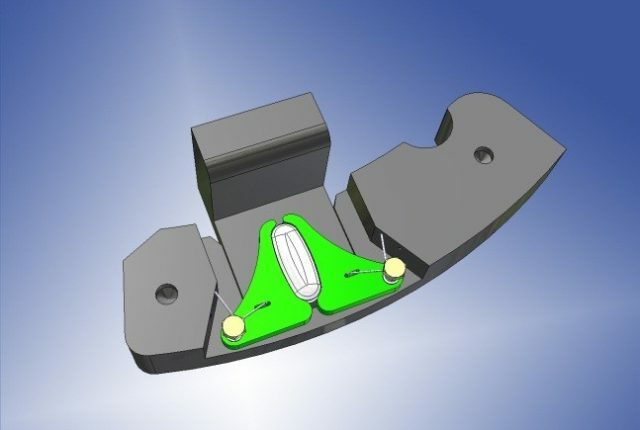 Its compact, space-saving design and low height mean the UTS NIR fits under all tablet chutes from the most popular tablet press manufacturers. 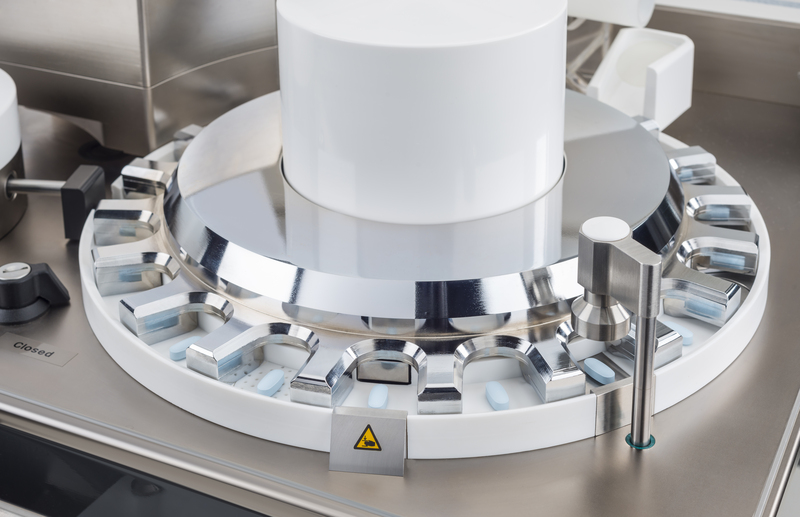 Depending on customer requirements, various sample collectors are available, permitting further analysis in the laboratory. Removal of all parts requiring cleaning is uncomplicated and very fast, with no need for tools.